RIM will reveal the final version of BlackBerry 10 on Wednesday and it's already starting to provide new details on what to expect. The company on Monday revealed its music, TV and movie partners for BlackBerry World, the firm's new ecosystem that includes apps, videos, music and more. On the movie front, you can expect films from: 20th Century Fox, Entertainment One (eOne), Lionsgate, MGM, National Film Board of Canada, Paramount Pictures, Sony Pictures Home Entertainment (U.S.), Starz Digital Media, STUDIOCANAL, The Walt Disney Studios, Universal Pictures (U.K.) and Warner Bros.
TV shows will be available from: ABC Studios, BBC Worldwide, CBC/Radio-Canada, CBS, DHX Media, ITV, National Geographic, NBCUniversal (U.K.), Nelvana, Sony Pictures Home Entertainment (U.S.), Starz Digital Media, Twentieth Century Fox Television, Univision Communications Inc. and Warner Bros. Unfortunately it looks like shows from HBO and Showtime are off the list for now. Finally, music will be available from "all major and independent" record labels, including: 4AD Records, Domino Recording Company, finetunes, Matador Records, [PIAS] Entertainment Group, Rough Trade Records, Sony Music Entertainment, The Orchard, Universal Music Group, Warner Music Group, XL Recordings and Zebralution. RIM's music store will only be available in 18 countries at launch and videos will only be available for purchase or rent in the United States, Canada and the United Kingdom. 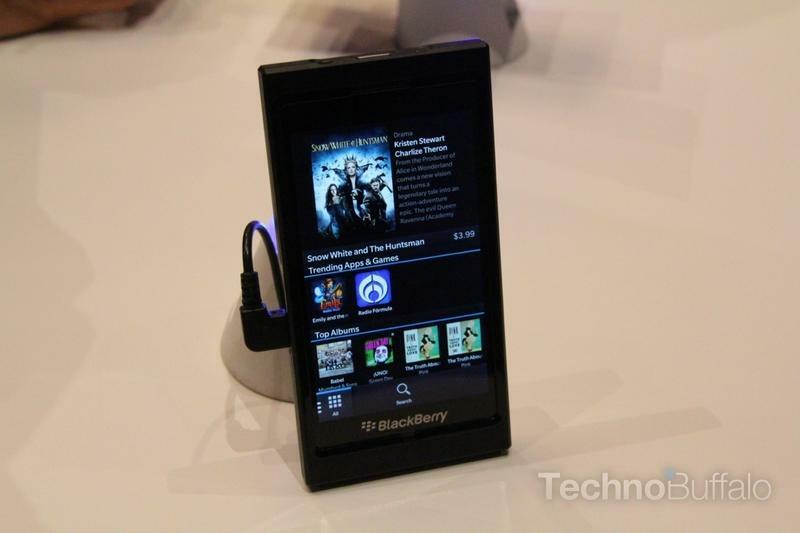 Be sure to check out our in-depth video of BlackBerry 10 for a closer look at what to expect.